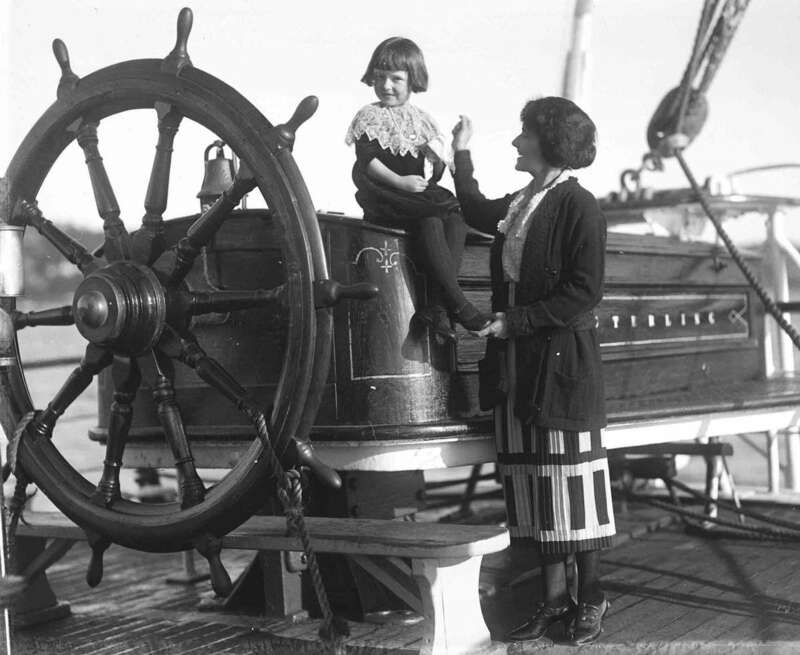 Making it look easy, Ethel May Sterling and her daughter Margaret aboard her husband’s ship, ER Sterling. ANMM Collection 00035539. As Mother’s Day approaches a maritime museum is not usually a place one would look for motherly sentiment. Yet here at the museum and the Vaughan Evans Library, there are small yet extraordinary reminders of what motherhood can mean. And how hard it can be for some. Throughout history, women have waved goodbye to their children as they set out to sea. But what about those mothers who decided to come along for the ride? Such as Lady Bourne who in 1933 accompanied her daughter, Pamela Bourne, on a trip to Australia from South Africa aboard the Swedish cargo ship Thermopylae. The intrepid Miss Bourne and her mother, Lady Bourne (1933, 20 December). New Zealand Free Lance. A collection of newspaper articles relating to the adventurous Miss Bourne are held at the Vaughan Evans Library detailing her work as a ship’s deckhand. 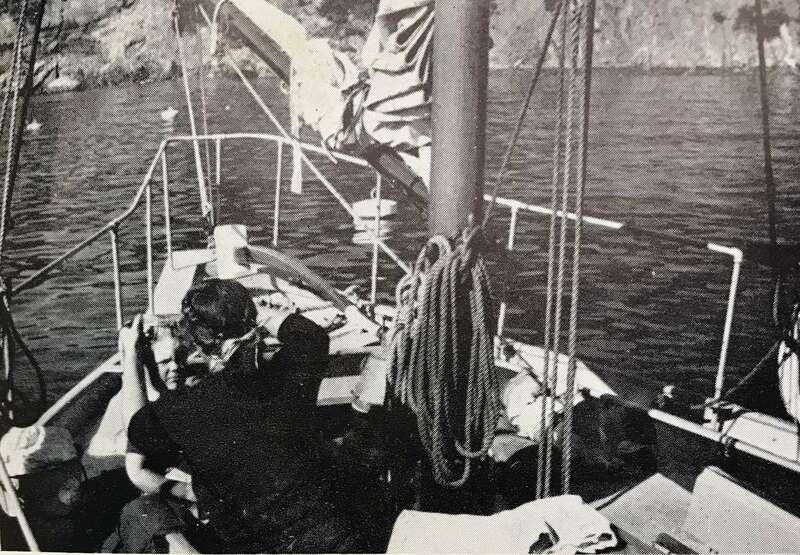 According to one account (“Pretty Girl Works As Deck Hand,” 1933), the 24-year-old, Oxford-educated, Pamela joined the crew of the Thermopylae to gain a firsthand insight into life on board for a series of articles she was writing for English and American Newspapers…with her mother by her side for the journey. 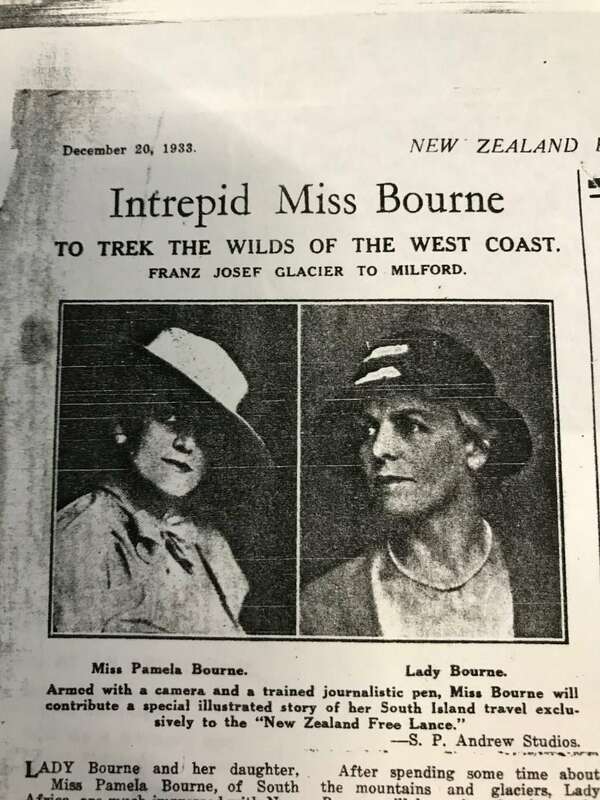 Lady Bourne herself does not appear to be a stranger to adventure. When the pair landed in Fiji, Pamela and her mother spent some time living with the Fijian villagers and while in New Zealand, they spent several weeks walking through the country which Lady Bourne described as the “most beautiful in the world” (“Round The Horn in a Windjammer,” 1934). To keep a child healthy, clean and fed on land can be challenging some days. And once those tasks are done, the child still needs to be kept safe from harm and somehow engaged. Every day. Imagine achieving this in cramped quarters on a vessel as it moves constantly, essentially the least child-friendly environment one could conceive of. Yet many thousands of mothers have done this often for months or years at a time. The waves of migration during the 19th century saw whole families moving across the globe. Wealthy or poor this opportunity was open to all, the dream the same. Yet the journey was a remarkably different experience. The records of daily life on these ships for most passengers makes for fairly harrowing reading. But it is the children and mothers that stand out as those who suffered the most. Conditions were unpleasant at best and family life was played out in a highly public yet confined place. Many mothers gave birth to children on board while others watched their children die – all helpless to control even the small space they had been allotted. 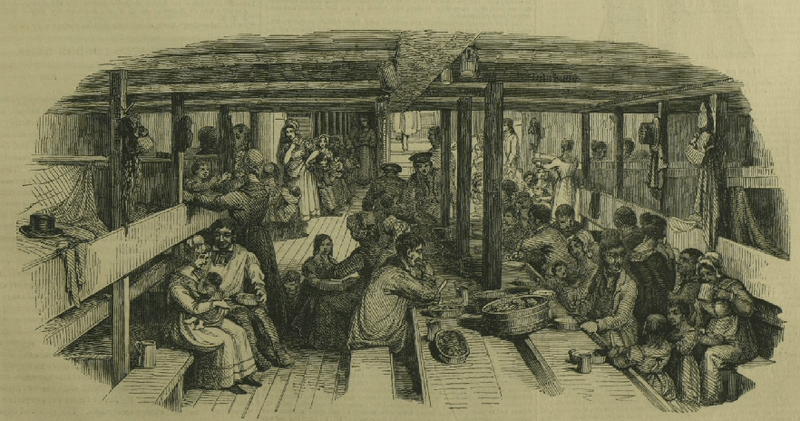 Mothering duties on an immigrant ship in 1844 involved feeding, cleaning and caring for children in very cramped and public conditions. Illustrated London News, April 13, 1844. ANMM Collection 00005628. 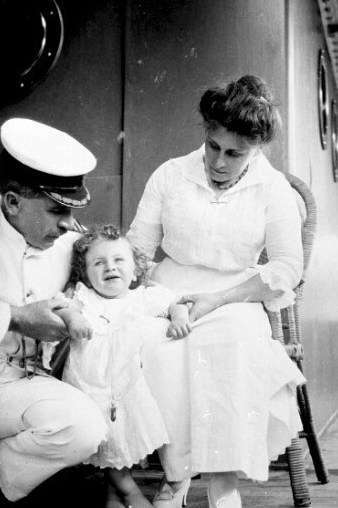 During the 20th century conditions on vessels improved but the basic restrictions of mothering at sea remained. Space constraints and physical hazards still dictated daily activities. Cabins were still stiflingly small, decks still dangerous and the days were still long. These mothers also had to deal with crying newborns, active toddlers or sick children while themselves managing the day to day tasks of food, clothing and cleanliness in a world that never stopped moving. 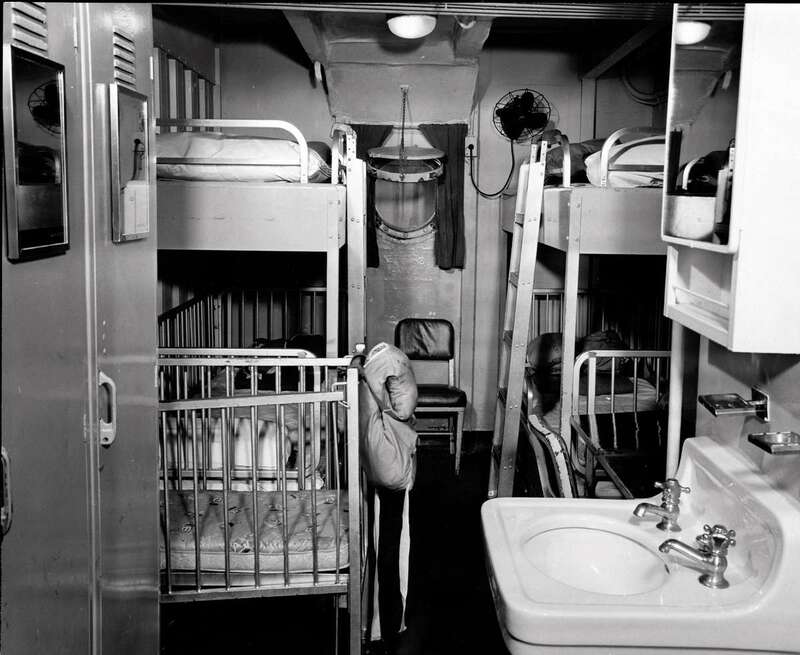 Family cabin, including cot, on an ICEM vessel to Australia 1946-1958. Despite the luxury of a sink and window, it is hard to think that the bunk ladders would amuse toddlers or children for long. ANMM Collection ANMS0214. Even wives of merchant captains who chose to spend their lives on ships faced challenges that would seem overwhelming. As the Captain’s wife, these women often took on additional tasks to assist their husband and were still responsible for the children. The fact that these children had schoolwork to do or pets to amuse them does nothing to alleviate the thought that these added daily distractions just added to the mother’s long list of duties. Sydney based photographer Samuel Hood took many photographs of merchant ships, their crew and the families of the Captain. The mothers in these images appear in their best outfits and certainly look as though they have it all together but I do wonder if more than one of them was thinking ‘get me off this boat and into the nearest hotel’. A Captain’s wife, possibly musing how to keep all that white fabric clean… Image by Samuel Hood. ANMM Collection 00022000. A tale of another mother on the sea is found in the book Family at Sea, by John Caldwell (Caldwell, 1958). Caldwell details the story of his family’s journey some eight thousand miles from America, across the Pacific, to Australia. At the time, Caldwell and his Australian wife Mary were parents to two little boys, aged five and one. Then Mary gave birth to their third son in Tahiti en route to Australia! Amongst the incredible tales of shark attacks, wild storms and new countries the daily responsibilities of being a parent continued. Baby bottles were administered during rough seas and nappies changed. The reality of day-to-day life amongst adventure is depicted captured in the photograph where Mary attempting to give one of her young sons a haircut on the bow of the ship which was their home for the voyage. And so for those of us spending mother’s day on solid land, hopefully with a cup of tea that doesn’t threaten to spill with the movement of the ship and perhaps an hour in a room alone that isn’t the laundry. Let’s spare a thought for those intrepid women who mothered at sea — and made it to the end of their journey with their children safe. 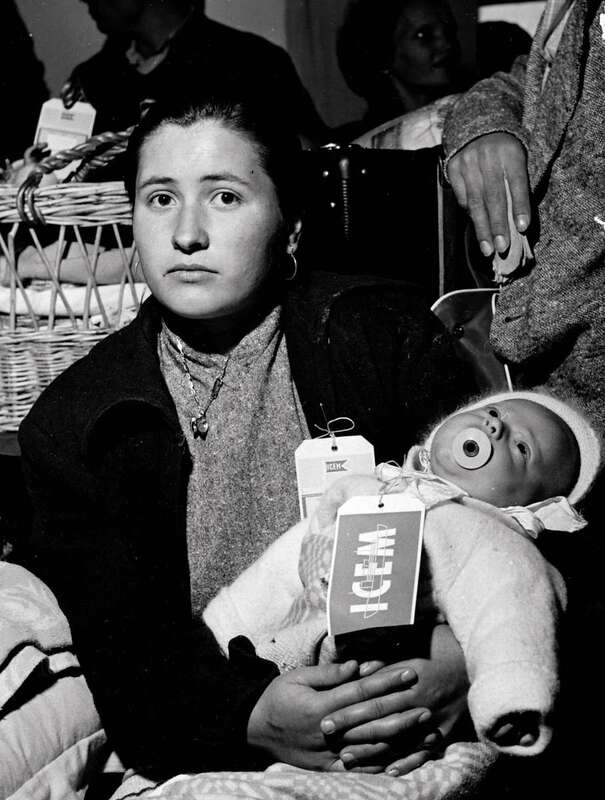 A young immigrant mother and child arriving in Australia, 1946-1958. ANMM Collection ANMS0214. — Myffanwy Bryant, Curatorial Assistant and Anna Tennant, Library Assistant. Further information on Pamela and Lady Bourne’s adventure can be found at the Vaughan Evans Library. Do you have any memories of your mother at sea? Share them in the comments below. Caldwell, J. (1958). Family at Sea. London: Robert Hale Limited. Pretty Girl Works As Deck Hand. (1933, February 11). Daily News. Round The Horn in a Windjammer. (1934, May 19). Cape Argus.